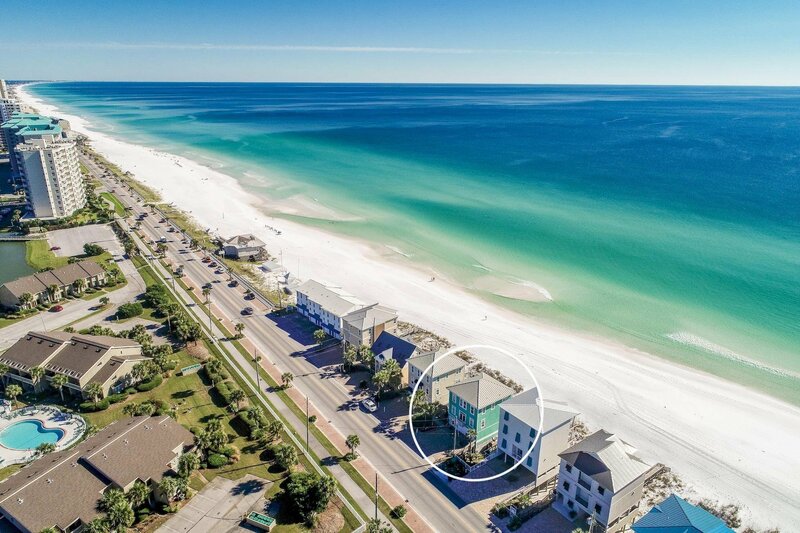 Experience unparalleled gulf front vistas from this prominently located beach front retreat primely positioned on 50' of premium linear gulf frontage highlighted by three stories of coveted south facing deck space. 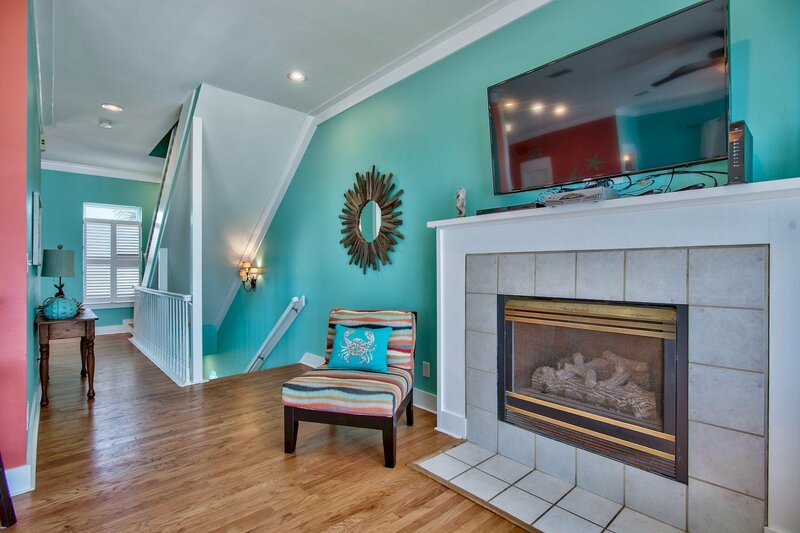 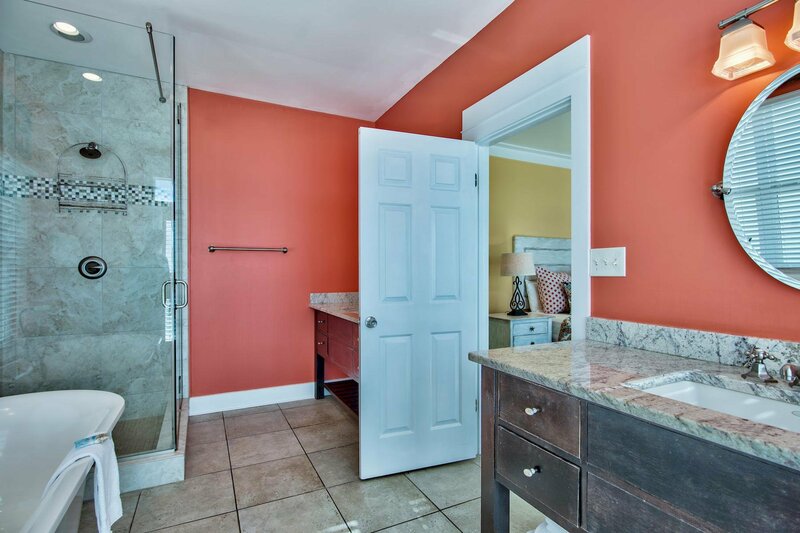 This exemplary five bedroom rental machine has been recently updated and well designed for optimal income potential offering $175,000-$200,000 projected gross annual income. 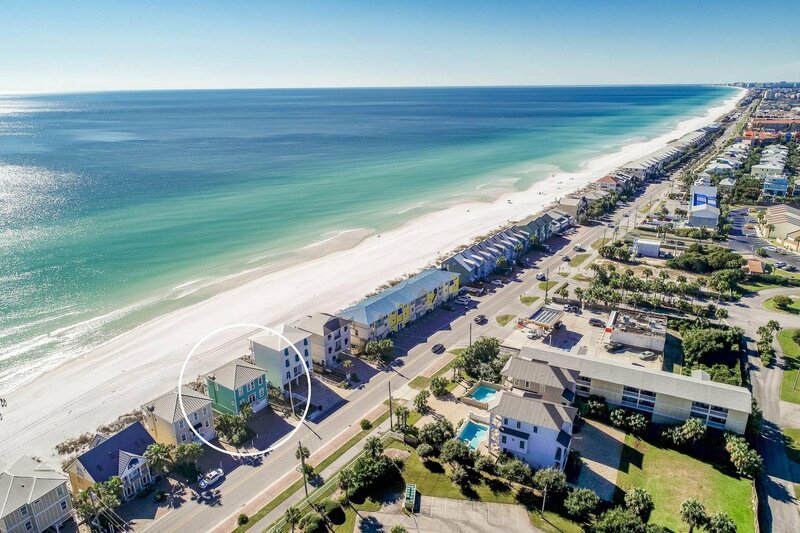 Notable features include ample exterior parking as well as a spacious two car garage with additional storage for beach equipment. 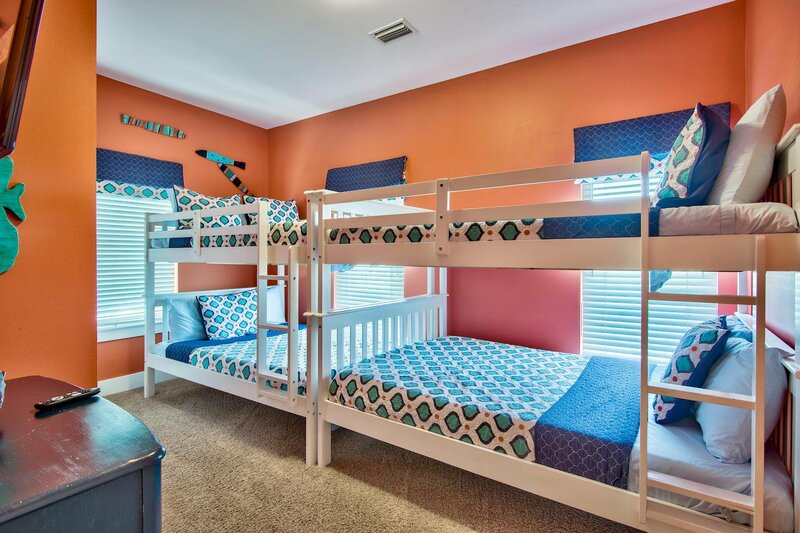 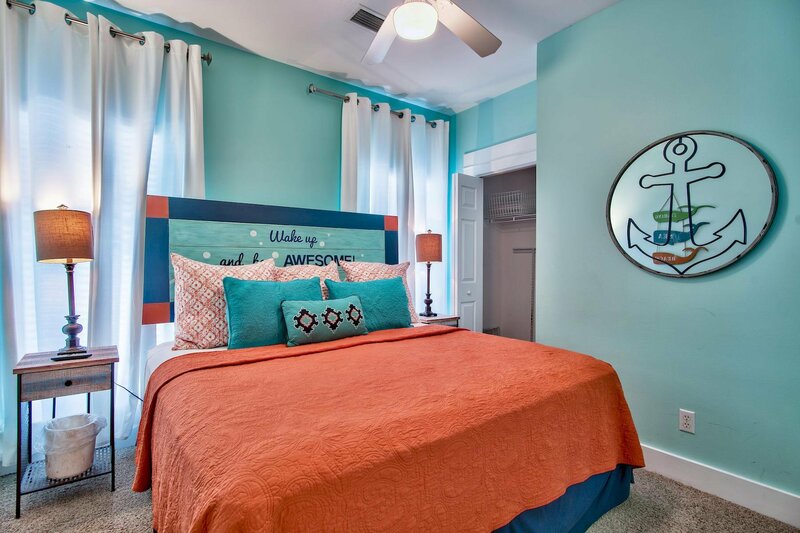 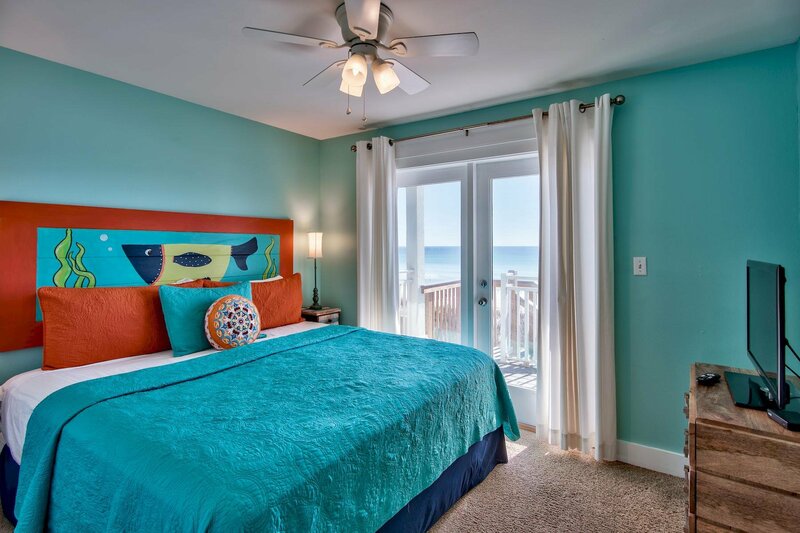 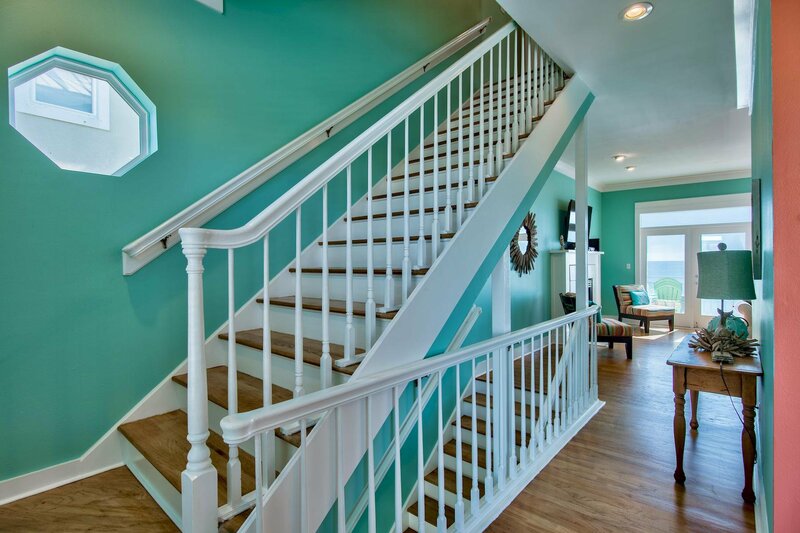 The open floorplan is an immediate highlight with a functional set up allowing for two spacious gulf front bedrooms on the first level sharing a jack-and-jill bathroom and allowing immediate access to the rear decks & subsequent path to the beach. 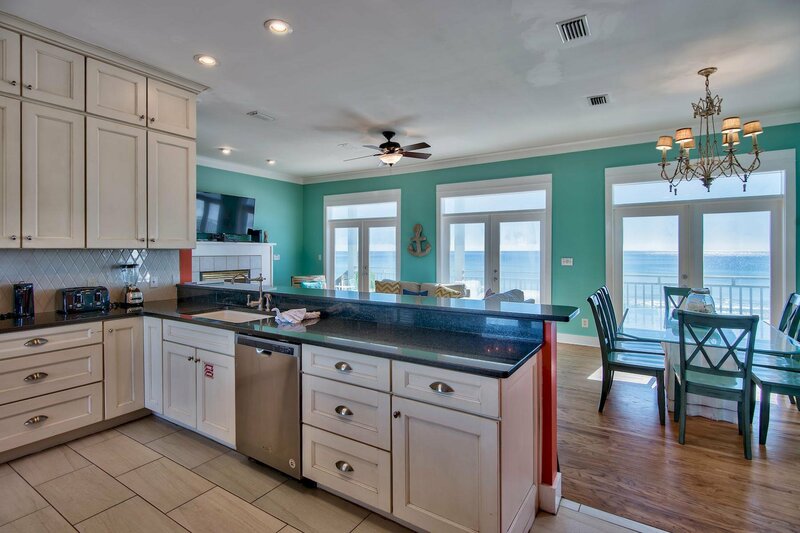 The awe-spiring kitchen and living area define the second floor living offering endless gulf views from every corner of the space framed by an abundance of floor to ceiling glass windows. 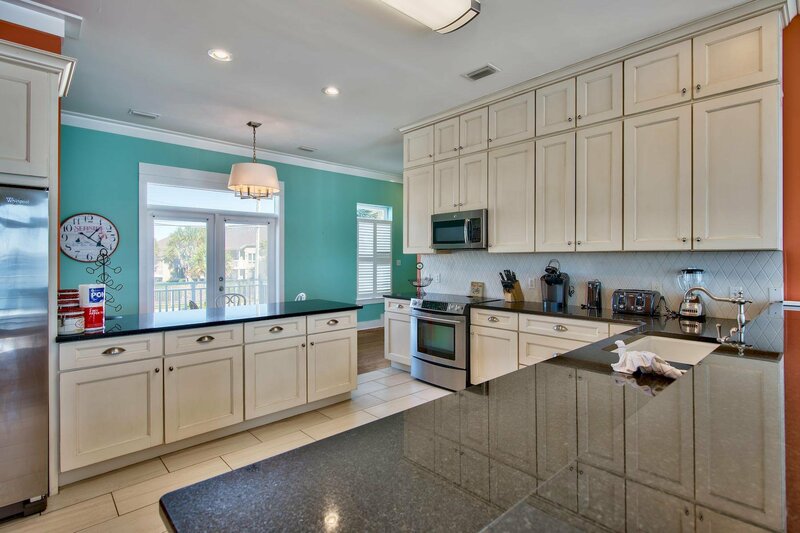 The wide open chef's kitchen is well designed with stainless appliances and granite countertops as well as ample custom cabinetry for storage. 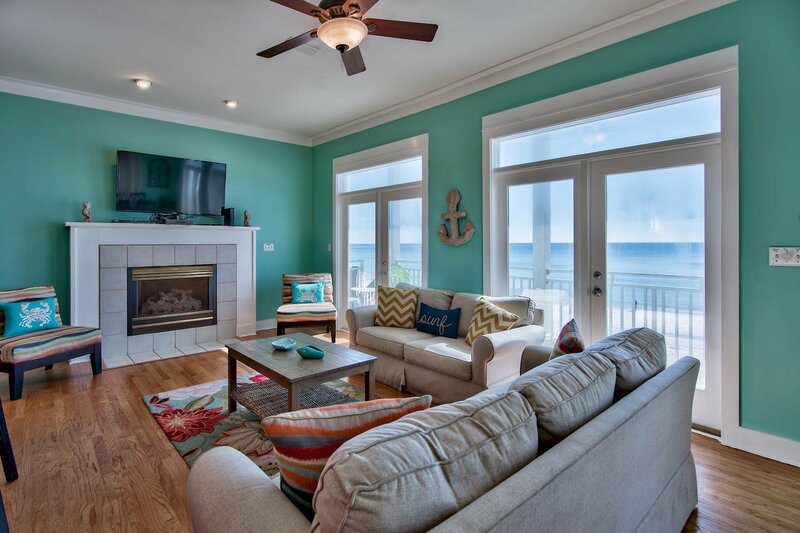 The living room features plenty of seating space and is open to the dining and kitchen area anchored by a gas fireplace for added ambience while enjoying winter sunsets over the Gulf of Mexico. 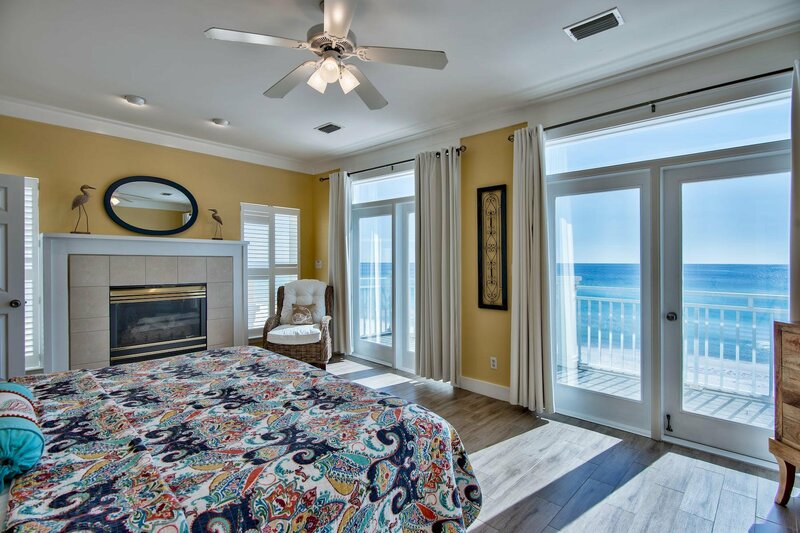 The second floor indoor living area extends directly to premier covered outdoor living space soaking in the 180 degree pristine gulf views. 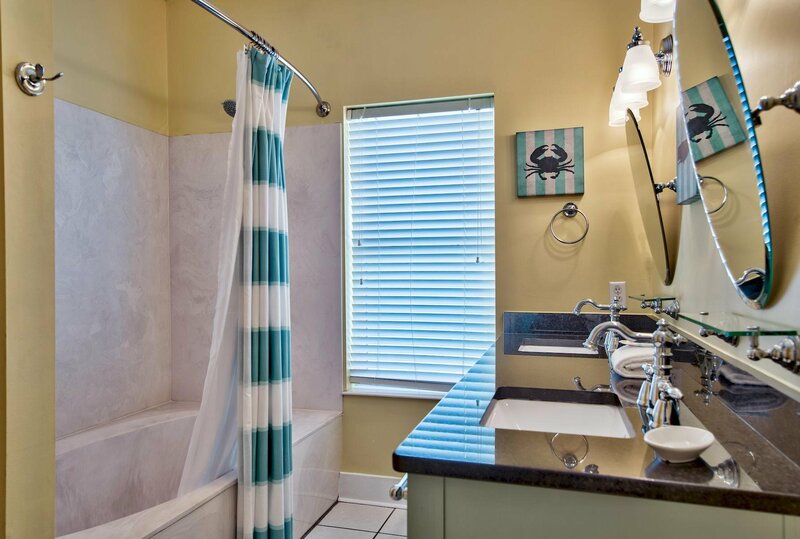 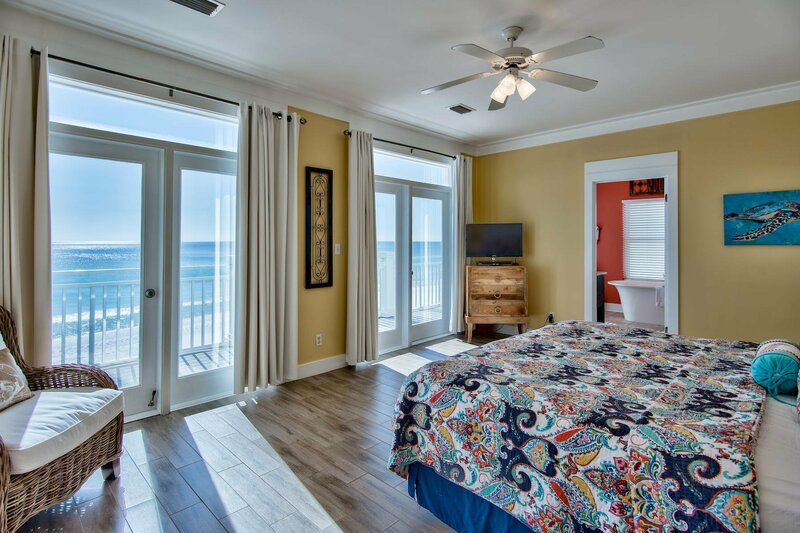 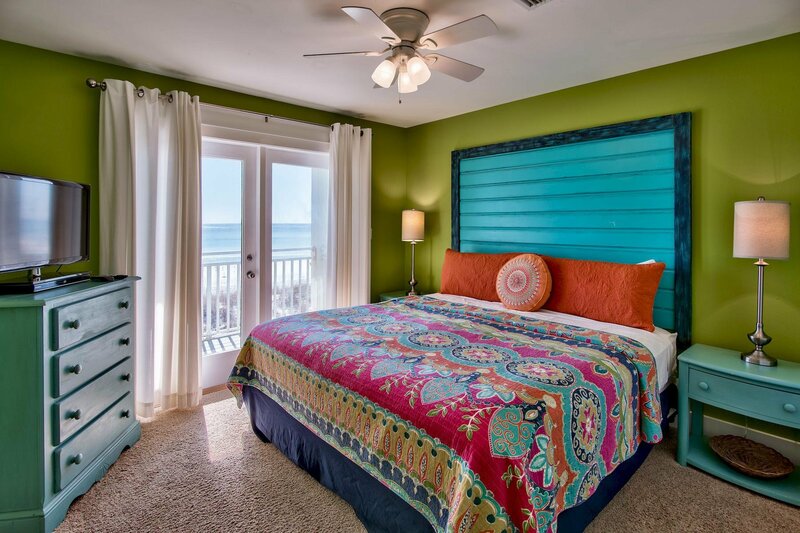 The third floor master suite is the pinnacle of gulf front living with an expansive layout offering extraordinary gulf views as well as a full ensuite bathroom recently updated with dual vanities, walk in shower and soaking tub. 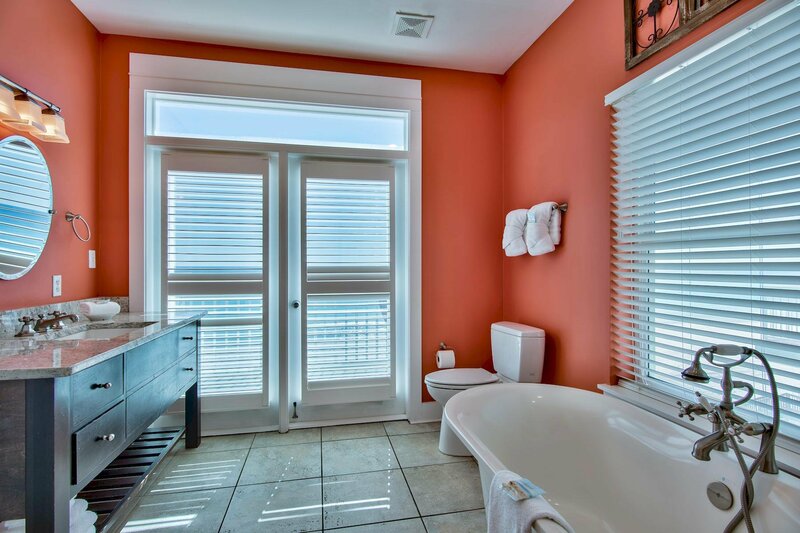 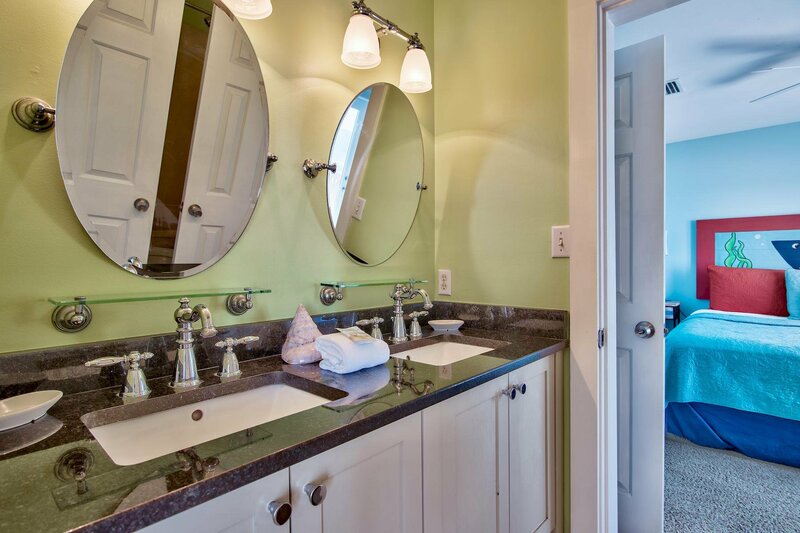 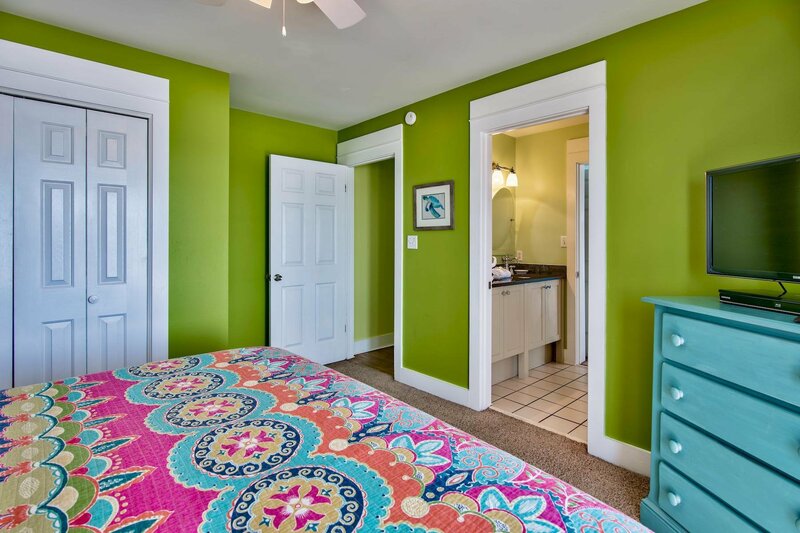 There are two additional bedroom suites located on the third floor complete with an ensuite bathroom. 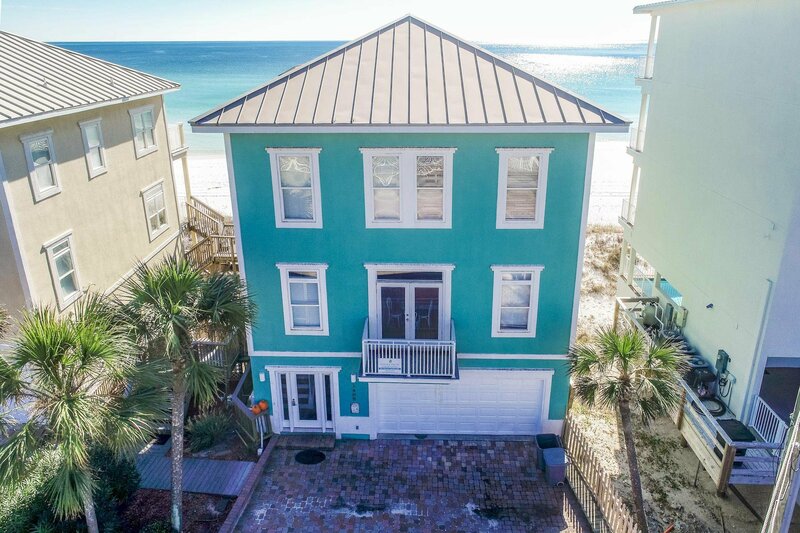 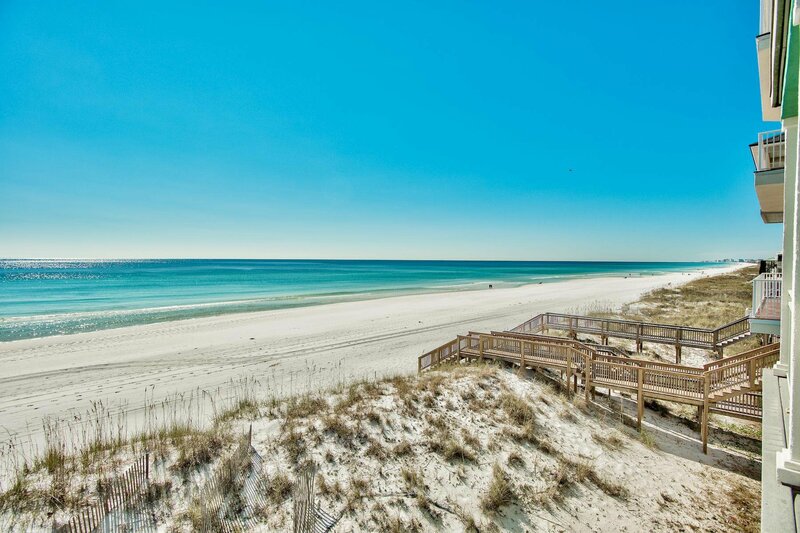 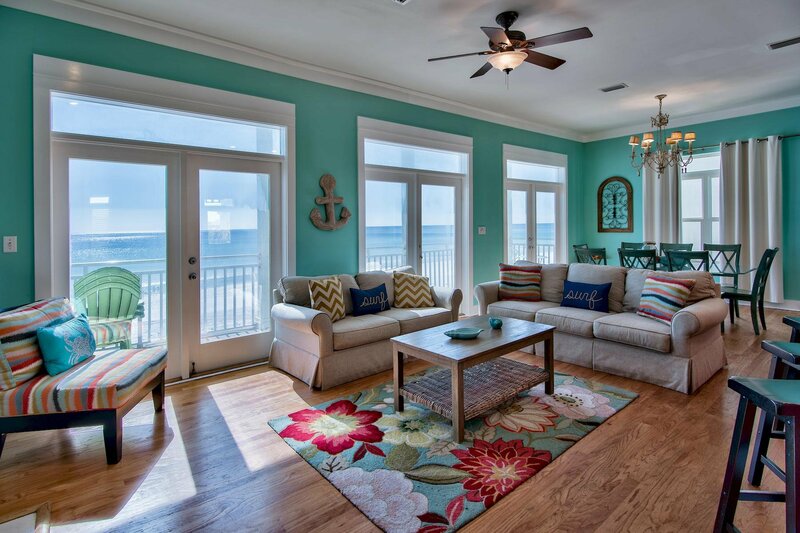 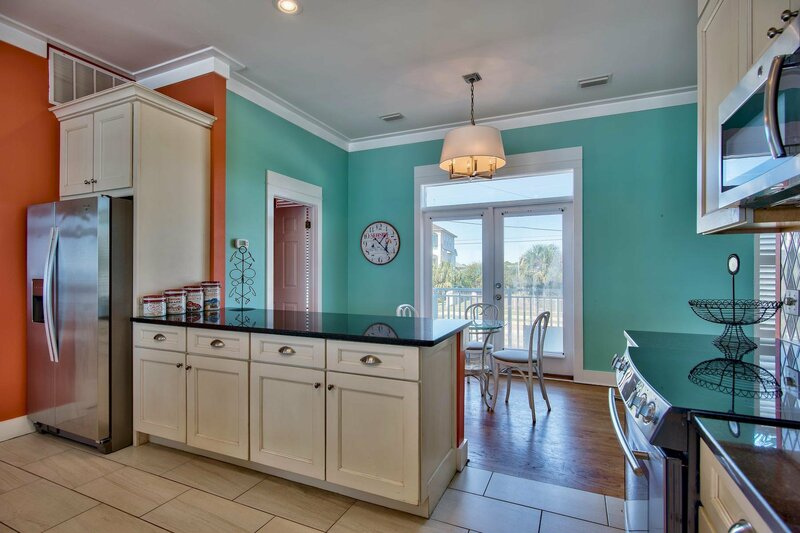 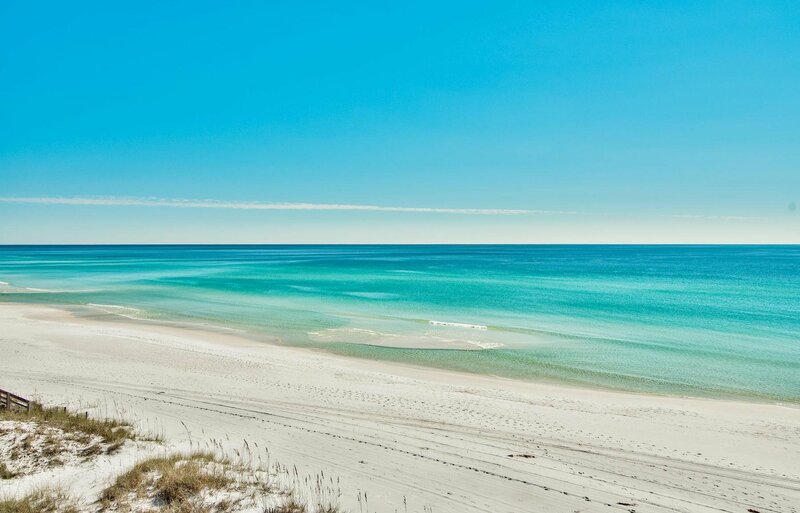 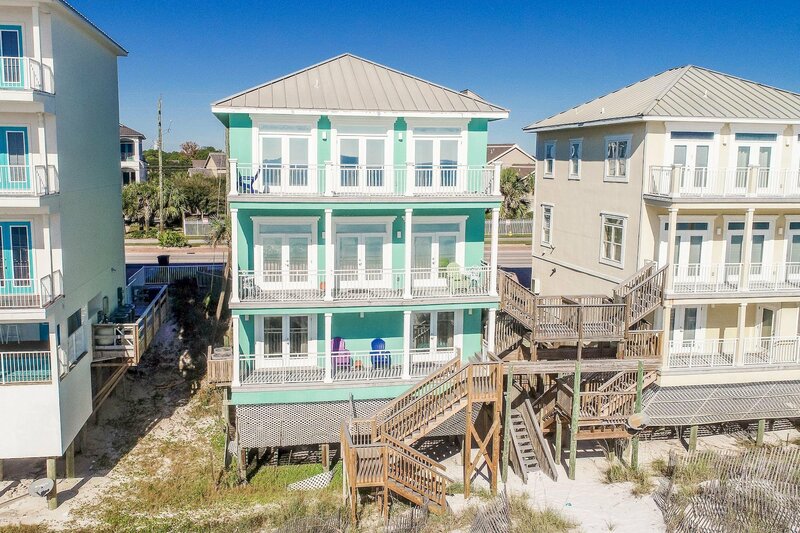 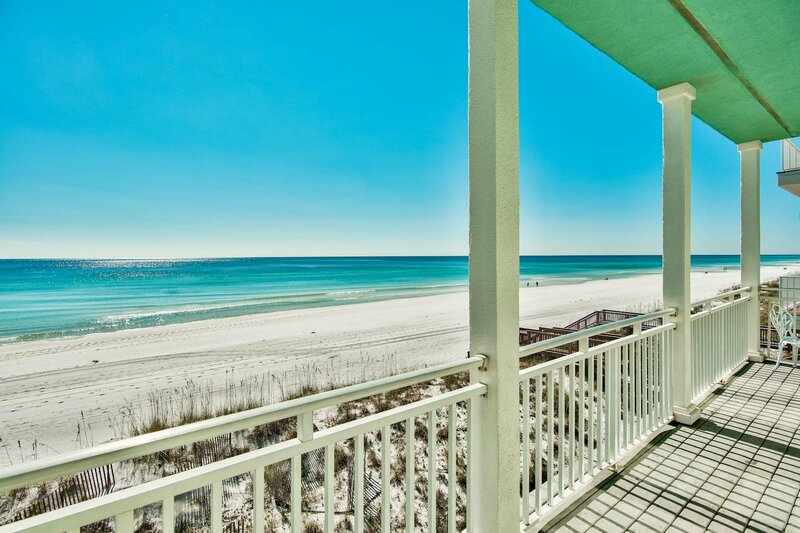 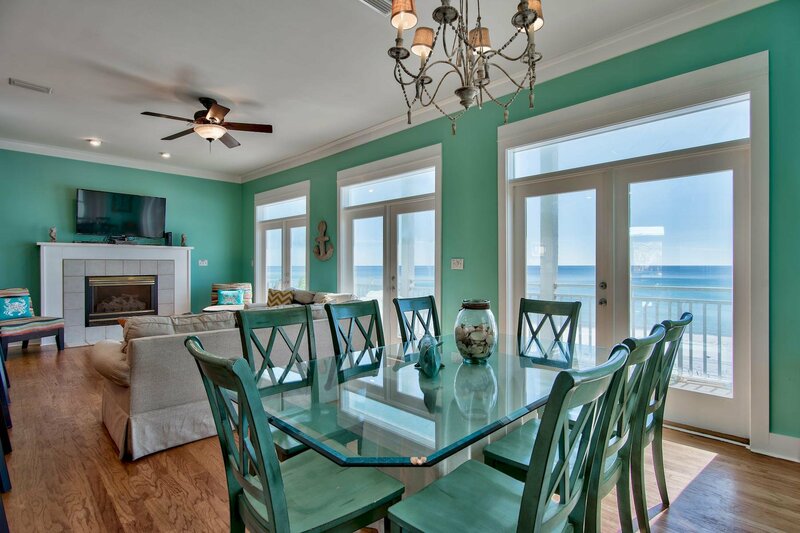 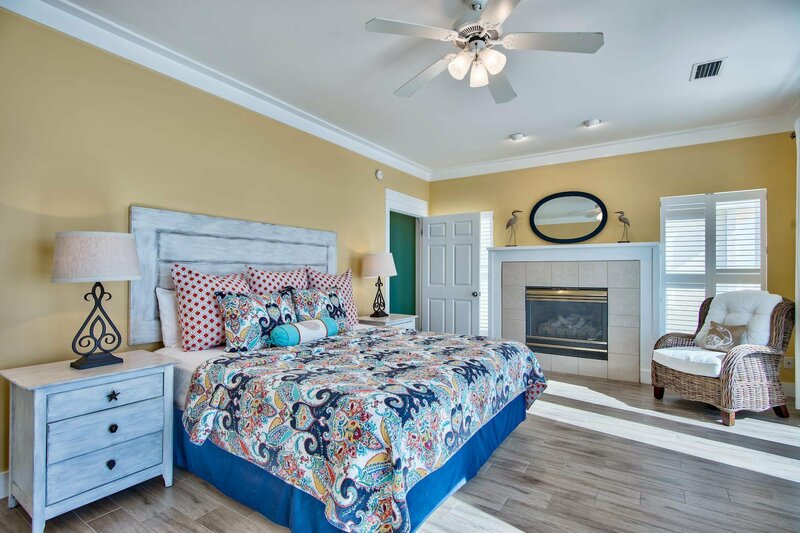 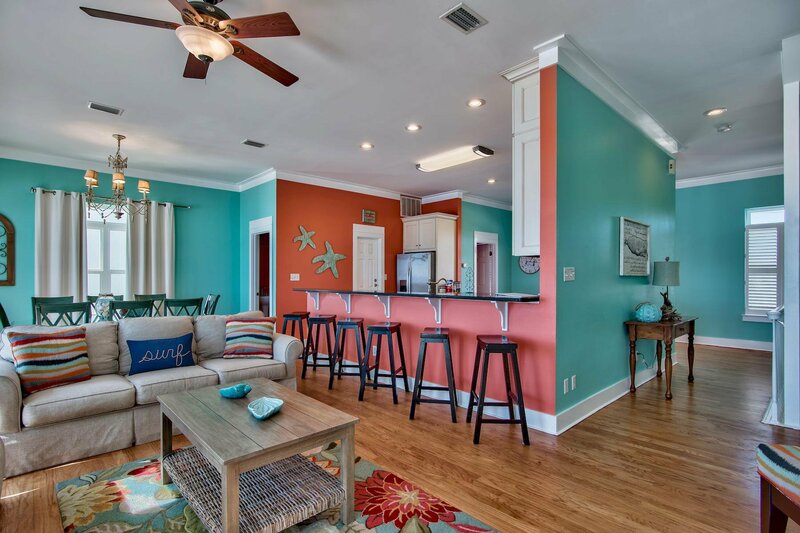 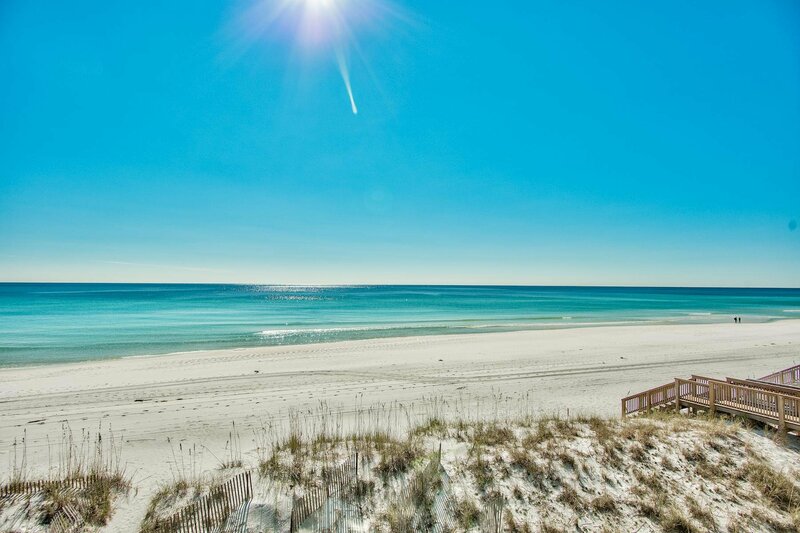 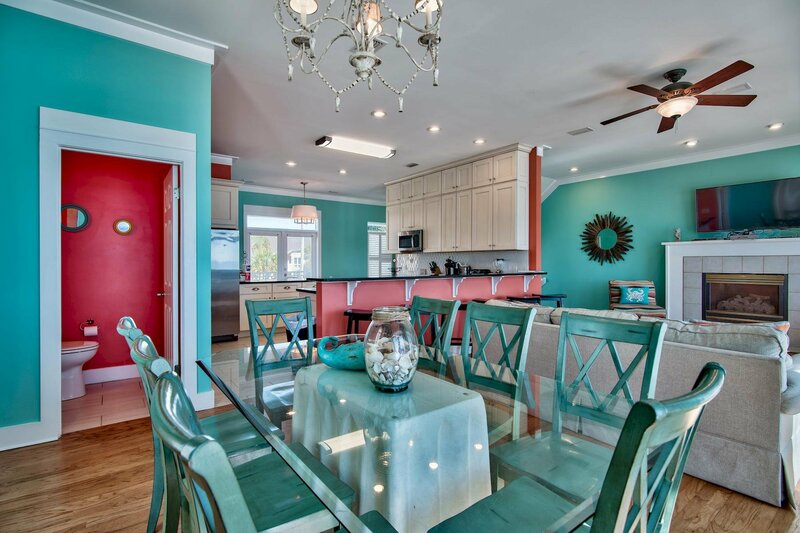 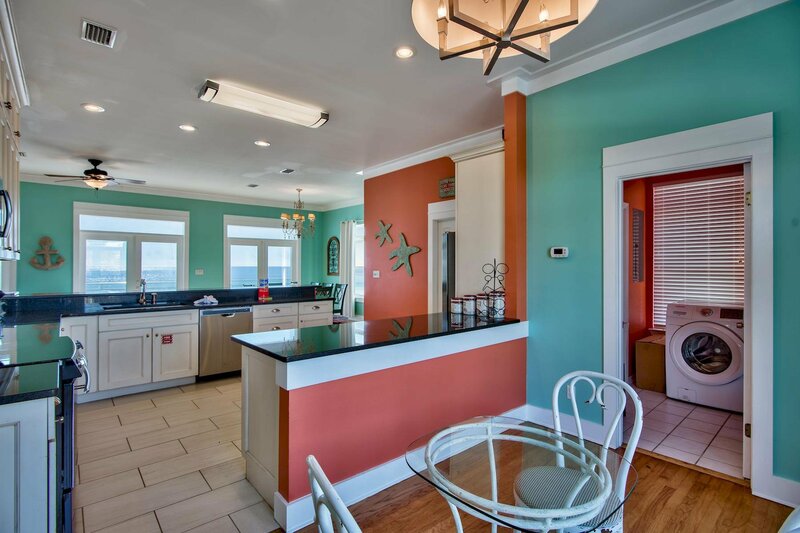 This outstanding gulf front home is located within close proximity to all of the world class amenities in Miramar Beach including shopping, dining, entertainment, golf courses as well as the outlet mall of Sandestin and the surrounding resort amenities.